Much like NEWS RADIO, ARRESTED DEVELOPMENT, and GET A LIFE, Dan Harmon's COMMUNITY was a trailblazing sitcom with a vocal fanbase. "Six seasons and a movie" became a rallying cry for the Browncoats of Greendale Community College. These dedicated viewers managed to keep COMMUNITY on the air for several years after rumors of cancellation began to surface. In fact, rumors of the show's demise began to circulate before the first season had even finished airing. 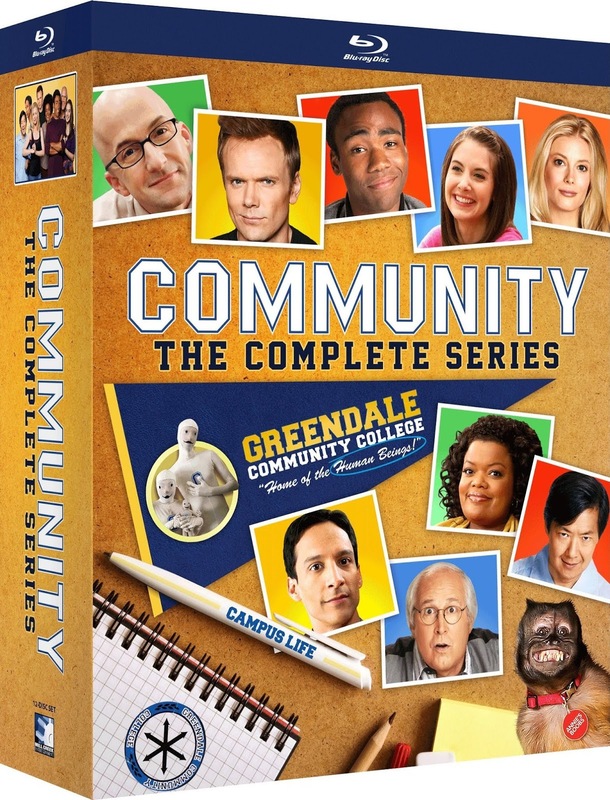 After the second season COMMUNITY was regularly on critics "best of" and "underrated" lists but the show never crossed over as a mainstream hit. Not to throw shade, but when shows like BIG BANG THEORY are cultural mammoths it's no wonder quality stuff slips through the cracks. We as audience members demand lowest common denominator drivel, shying away from innovative and challenging entertainment. COMMUNITY was self-referential and meta before those were common tropes in television sitcoms. Jeff Winger (Joel McHale) is a recently disbarred lawyer who attends Greendale in an attempt to earn a degree quickly. His mail-order certificate from Columbia, the country not the ivy league school, wasn't up to snuff for the Colorado bar. On his first day of class, he forms a fake Spanish study group in an attempt to swoon Britta (Gillian Jacobs) who is an anti-conformist who values honesty above all else. She is also one of the few people who can immediately see through Jeff's bs. The show is a deconstruction of the prolonged will they, won't they formula that became a staple of 80's and 90's sitcoms. COMMUNITY is an exploration of where a show can go after you run through all the tropes. It was that anarchic take on familiar conventions that made the show impenetrable for some viewers. And while the reviews were strong for the second and third seasons this isn't one of those shows where it took 20 episodes or so for them to find their footing. The third episode of the first season "Introduction to Film" is one of the strongest in the series and makes me tear up every time I see it. Mill Creek has released all 110 episodes in a complete series box set. The most interesting feature included in the set? The commentary tracks. The recordings were mostly done in between the season breaks so its a fascinating window into how the critical reception and ratings were impacting the cast and crew at the time. It's not a rose-colored retrospective but rather an emotionally raw and oddly vulnerable deep dive into one of the best sitcoms of the last 20 years. This blu-ray collection from Mill Creek is a must own for any fan of comedy. It's too soon to tell but COMMUNITY could go down as one of the last great sitcoms before streaming services splintered everything. Our entertainment is spread out onto so many platforms it's impossible to keep up with everything. With that in mind, the holidays are just around the corner, pick this one up for that comedy fan in your life. He or she will be impressed with your taste. 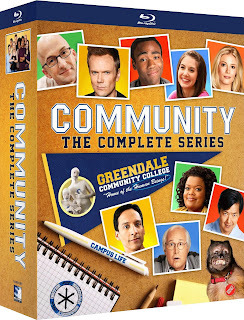 Click here to purchase COMMUNITY the complete series.